You’ve just started up your favorite browsing device, getting ready to access the web and be distracted by the ocean of knowledge at your fingertips. But just as you start to get drawn into the vast flood of information a beast rears its head hampering your browsing pleasure. We all know this monster but a rather few of us love them…Internet ads. But just as we begin to get frustrated, in comes our knight in all its coded glory wielding not a sword but a rather big and impressive shield, Ad-Blockers. We feel relieved that we can now return to our normal surfing pleasure without being annoyed by all those pesky ads. But are Ad-Blockers a solution to a problem or just another monster waiting for their chance to pounce? Some, mostly online publishers that need the revenue created by online ads to exist, believe the latter is the case. And they will go to some lengths to prove it. An example of this is the “Block Party” that will occur this August created by Swedish publishers to block users from their sites who use Ad-Blockers. Unfortunately in this era where our attention span is less then that of a goldfish and information is more available than ever, this tactic will be but a blip on the map. Quickly circumvented and forgotten without making the mark it so craves. The question also arises is whether it’s a brilliant idea to alienate consumers. Especially if this consumer group has grown from 12% in 2013 to 51% in 2015. You’ll be aiming to make more enemies than friends and in the digital age we live in, you will be quickly shunned and forgotten. So to understand this, let us look at the reason for Ad-Blockers and the cost involved in using Ad-Blockers. Why have Ad-Blockers become such a necessity? Firstly, internet ads are a pain in the rear – most of them are intrusive and only interrupt the consumer’s experience. Secondly, they create lag when we’re trying to load our favorite site. Who wants to wait three seconds more to read that article that has nothing to do with the original reason they started browsing the Internet? Thirdly, these ads steal our bandwidth. So someone is stealing from your available time to force you to look at that funny cat picture without even asking. There are many more points that argue the need for Ad-Blockers but these are the most widely used and most relevant for the average consumer. There is a big misconception that information is free. But sadly, like all things in life, it isn’t always necessarily free. Your favorite site needs to be hosted and as such there is a monthly fee that needs to be paid. So most sites use online advertising as a source of income to supply you with your needed dose of gossip, sorry, I mean information. Another flip side of the coin is the idiotic solutions thought out to combat Ad-Blockers. From blocking users, to forcing them to pay fees to access their favorite source of information. It all seems a bit extreme and counter productive. And takes a step into the realm of being childish when Ad-Block Plus gets denied the opportunity participate in advertising confabs, such as the one in California. Ad-Blockers are not only indirectly busy doing damage but reminiscent of 80`s protection rackets. 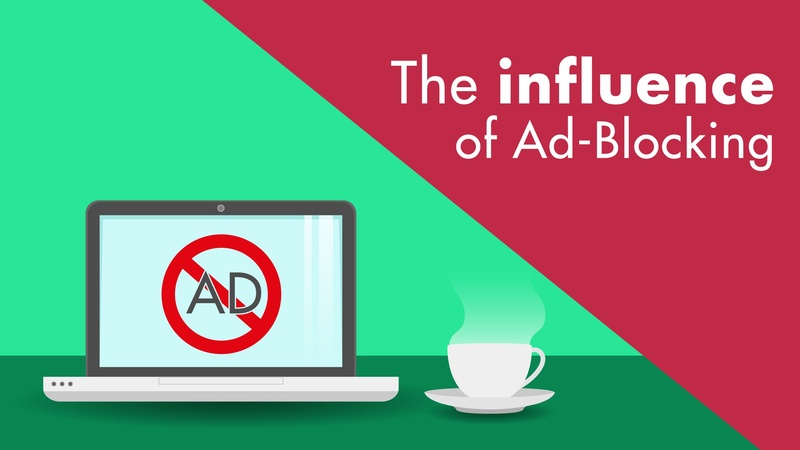 Ad-Blockers are charging fees and creating rules that only apply to their platform. So all this is creating more and more problems, and instead of finding the solution, everyone is playing the blame game. The simple truth is that everyone is responsible for the problem and the solution can be quite easy. Instead of forcing down an intolerable amount of cheap and annoying ads down the throats of consumers, why not force regulations that will ensure ads are of a higher quality? To illustrate this point, I can use the great example of the Super Bowl. In the beginning, viewers were extremely annoyed by the fact that there was advertising during the broadcast. Now, the Super Bowl advertising has become one of the main and favorite attractions. It is a challenge among agencies to see who can create the best advertisement, with the flip side that if you aren’t able to create an ad that is at least above average you will be ridiculed across the web. So lets aim for ingenuity. Let’s aim for our best instead of what works. And let’s see how this will influence the world of internet ads and ad-blockers.